BMW Nightmare Qualification: The Bullwinkle Fireplace Trophy Rear Wing etc. Verdict: An absolute Moron getting ready to take off! 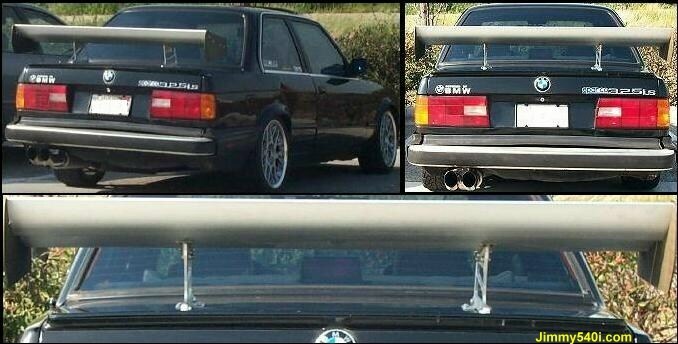 BMW Nightmare Qualification: The Double Decker Sushi-Bar Table Rear Wing! Stolen Dinan Badge! Verdict: Fly ~ Moron! FLY ~! BMW Nightmare Qualification: Dude! Where did you people find these ugly rearwings & bodykits? Verdict: The pilot of this F-16 must be good friends with the previous 2 targets. haha! BMW Nightmare Qualification: M5 Front & Rear Emblems. Ridiculous modifications. Verdict: A faux BMW M5. 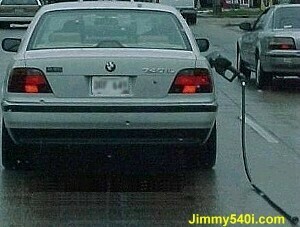 The owner of this 528i must think everyone is an idiot just like himself. Verdict: Get your driver's license before you drive the car. BMW Nightmare Qualification: The official Wing and Skirt made by "Dress-To-Impress-Racing-Co."
Verdict: Ever wonder what's gonna happen if someone puts a big-a$$ dining table on a beautiful taxi? BMW Nightmare Qualification: Anyone ever heard of a BMW powered By "MUGEN"? 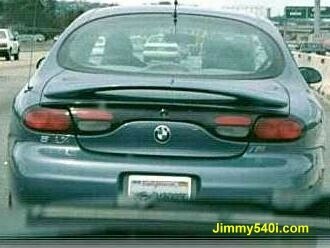 Verdict: The worst Sticker on a BMW ever! 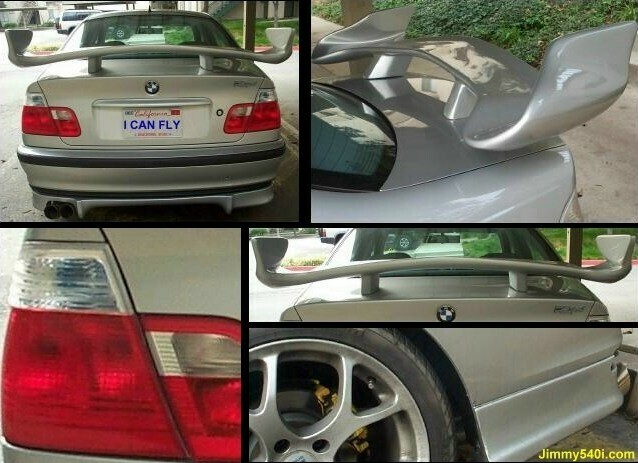 BMW Nightmare Qualification: Its "Ultimate Rear Wing" & the "Ultimate Tilting Exhaust Tips". Verdict: An "Ultimate Shopping Cart!!" BMW Nightmare Qualification: Hail to the Fantastic Side Skirts. Verdict: You need a pair of stockings to go with that? 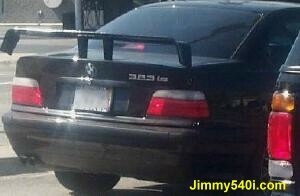 BMW Nightmare Qualification: Once again, the state-of-the-art rear wing. Verdict: Check out the Ultimate Wing on that Ultimate Green! BMW Nightmare Qualification: The so-called "All-Clear-Euro-Lights" increse your IQ. Verdict: Ahhh... Exause me, is that your Lexus IS or the new Nissan Altima? 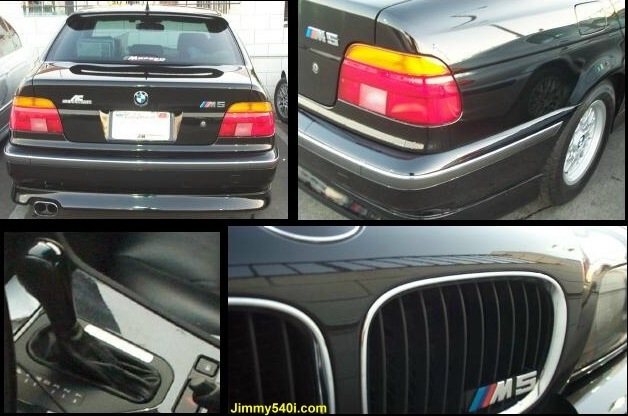 BMW Nightmare Qualification: The BMW emblem, the 540i badge and M badge. Verdict: What the f**k are you thinking ? BMW Nightmare Qualification: A mix of wonderful mods. Verdict: This guy is at the peak of his life! BMW Nightmare Qualification: BMW 5-Series Front Kidney Grill & Headlights. Verdict: Please contact a Psychiatrist nearest you! Verdict: Why don't you put this Wing on the top of your head?! Verdict: Here comes another Ultimate Shopping Cart. BMW Nightmare Qualification: The Fuel Pump. Verdict: This driver got a big "F" in Driver's Ed with a twist. 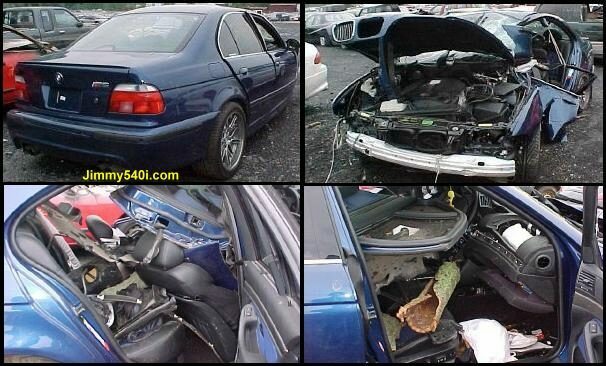 BMW Nightmare Qualification: The nose job + the body work. Verdict: Are you sure people really think I'm a BMW M1? 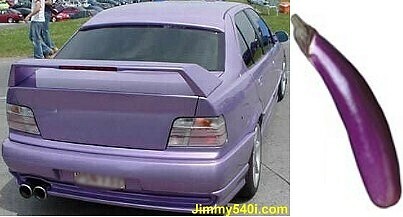 BMW Nightmare Qualification: Check out the nose job, the eyebrews & the ridiculous chin. Verdict: This is what happened when a plastic surgery goes out of hand. BMW Nightmare Qualification: It's Lovely Color + the rest of the goodies. Verdict: Look Ma! A beautiful Eggplant!